Bangkok (VNA) – Thailand’s rice exports decreased in both volume and value in February 2019 due to high prices as compared to other competitors and its stronger baht. Charoen Laothammatas, President of the Thai Rice Exporters Association (TREA), said the country’s rice shipments totalled 687,560 tonnes in February, down 27.7 percent from the same month of last year, with the export value hitting 11.69 billion baht (over 368.5 million USD), down 23.5 percent year on year. According to Charoen, Vietnam's rice prices were 40-50 USD a tonne lower than Thai grains and lured buyers from the Philippines and Malaysia. Charoen said that despite the export fall in February, rice exporters still believe shipments will recover in March to 700,000-800,000 tonnes. 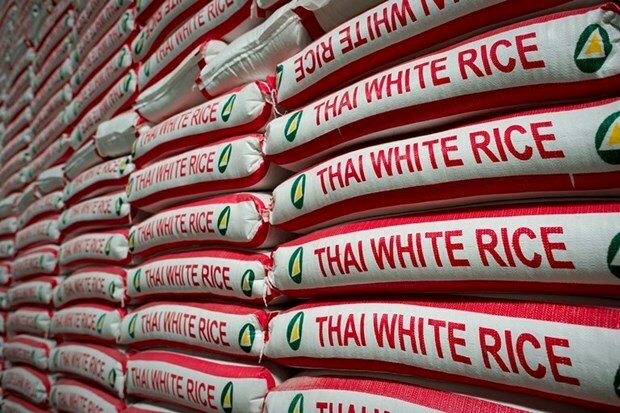 Thai exporters still maintain huge outstanding purchase orders for white rice and parboiled rice from key African and Asian buyers such as Benin, South Africa, Cameroon, China and the Philippines, which are due to take delivery in March. More importantly, import demand for hom mali rice from potential buyers like the US and Canada remains strong. Thai rice exporters are still maintaining their forecast for the country's rice export target at 9.5 million tonnes this year, he said, adding that how this year's situation will play out will depend on the drought.